Photographs of the rooms and hotel accommodation at Huntingdon House Hotel in Dumfries hotel accommodation in Dumfries, Dumfries and Galloway, Scotland. Please note: All of the bedrooms are strictly non-smoking. 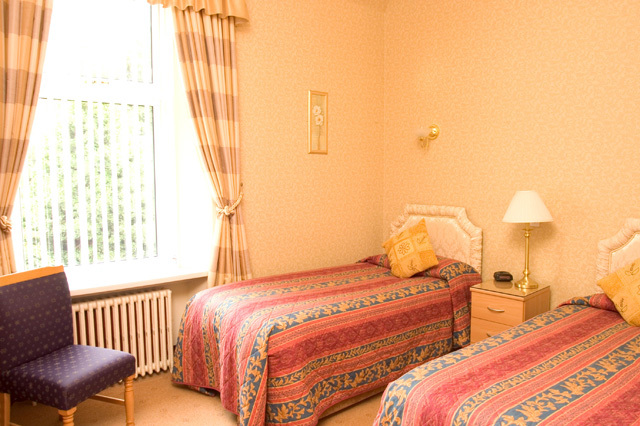 All 8 bedrooms are en suite, with tea/coffee making facilities. 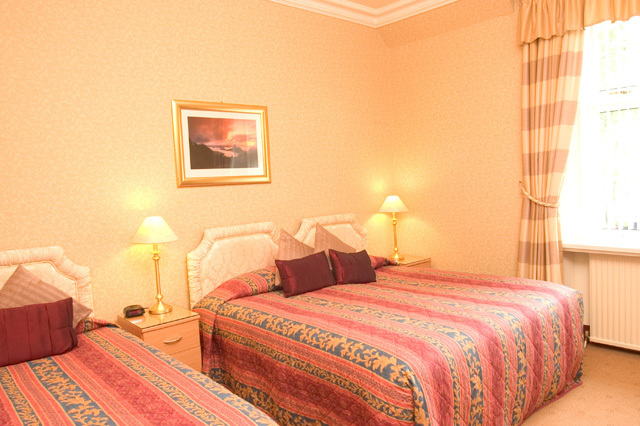 All the rooms also contain Remote controlled televisions, trouser press, hairdryer, iron and ironing board. Video and DVD players are available on request and the whole hotel is Wireless network (WIFI) enabled for lap top users. the newly installed double glazing and central heating will ensure a warm and relaxing stay. 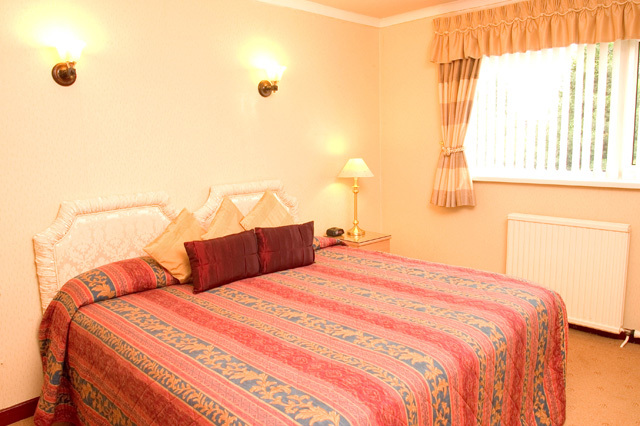 En-Suite, Orthopedic Matresses, Tea & Coffee Making Facilities, Remote Controlled TV's, Trouser Press, Hairdryer, Iron & Ironing Board, WIFI connectivity, Double Glazing, Central Heating. Our recently refurbished lounge bar (open to non-residents) with its beautiful ash bar, wooden flooring and coal effect fire lends itself to a modern yet homely atmosphere.